We here at Mind-Speaks were given the opportunity to create a project for Cut Out Keep, using Red Heart’s Grande Metallic yarn. I decided to make some wall art, using my new favorite technique in knitting. Double knitting!!! This yarn is super fun, it has strands of metallic thread and it just makes the wall art pop. We were given 4 skeins in the colors, straw, mulberry, wisteria, and glacier. Such pretty pastel shades! Those are usually the type of colors I aim for when choosing yarn. Red Heart yarn is my favorite to use, the texture is always great and it makes knitting easy and comfortable when sliding the yarn on and off the needles. *Keep in mind, these are the materials that I used, feel free to change the needle size. 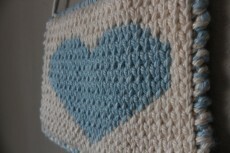 I decided to use a heart shape for this project, but you can use any pattern. Just remember that if you use a pattern that isn’t the same on both sides, your project will be backwards on one side. I used Craft Passion’s heart chart for this, it came out nicely, however I do wish that I used a longer dowel, but that was the only size I had at the time. 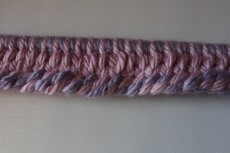 It’s a sturdy enough yarn to not require a wooden dowel in the first place, but I wanted to use one. I’ll add the link to the tutorial once it is live on the site. But for now, here’s a finish picture of the project and some progress photos. I wanted to share with you the bow clips that are now in the shop right now. The ones we have at the moment are inspired by the bow colors of the Sailor Scouts. Like we mentioned before, it was National Sailor Moon Day and so we wanted to make something for the occasion. However, we will also be adding different color bows, so you can have your choice of bow and center color. 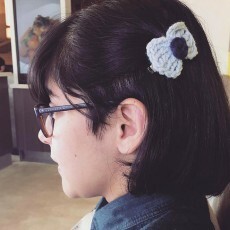 These little bow clips are just a wonderful accessory, and they fit in any type of hair. Short, long, curly, or straight. We are also thinking of adding them to headbands, in case you prefer that instead of clips. We are super excited to have the Etsy up and running and we hope to add more items in the upcoming months. More knitted items are sure to make an appearance so subscribe to our Instagram or follow the blog for more updates. We appreciate the love we’ve been receiving and hope to do more giveaways in the future. 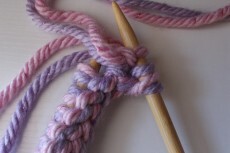 Yarn crafts are amazing and a lot of fun to make. The craft I’m sharing today is great for decorating just about anything. Whether it be gifts, planners, room decor, or hair clips. 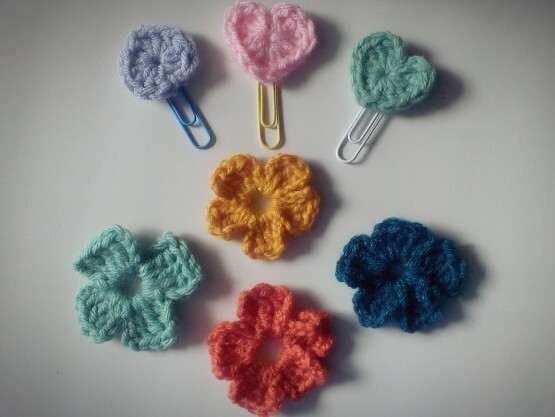 These small little hearts and flowers are great for all your decorating needs. Crocheting is something I’ve just recently started getting into. If you’re like me then knitting came much easier to learn. 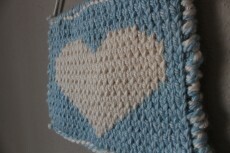 But crocheting allows you to do more shapes and so I’ve been trying my best to learn how to crochet. And I believe I’ve been able to pick it up now, due to the fact that my knitting skills have greatly improved since I first started knitting. 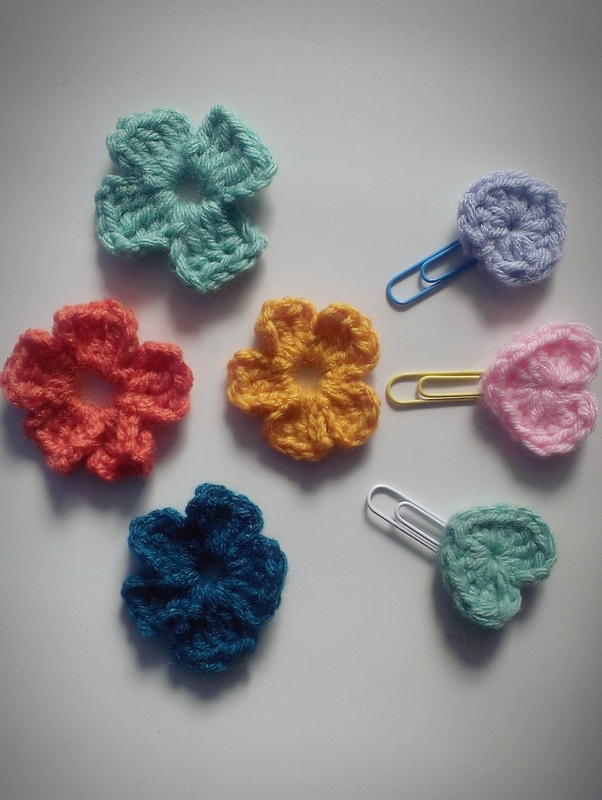 I’m not a knitting master by any means, and crocheting is still a mystery to me but I’ve managed to crochet these little hearts and flowers, so these are great for novice yarn crafters or even novice crafters in general. 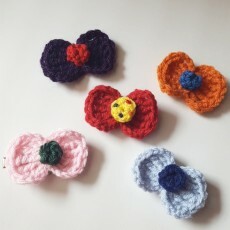 A while back I showed the knitted hearts that I learn to make, but the crochet ones are flat and you can adjust the size depending on the size of hook you use. These can also be used to make garlands that you can hang on the wall. The paperclips are fairly new, I’ve noticed the planner community post something similar on instagram and had to try it out myself. I’ve kept one in my planner for the whole week and it hasn’t moved or gotten in the way. It’s just something small to decorate your planner pages and also be used as a paperclip. Bonus points! 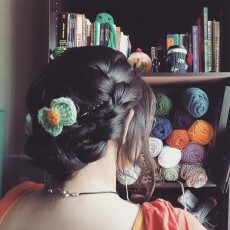 Check back here for some more crochet projects, maybe next time I’ll even make some DIY tutorials and show you how I knit or crochet. Until next time…..